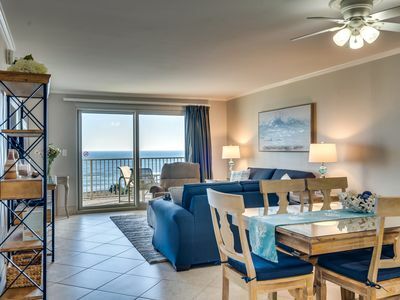 Located in the heart of beautiful Destin, Sterling Sands is an eight-story, complete beachfront condominium resort built in 1994 offering two and three bedroom luxury units. 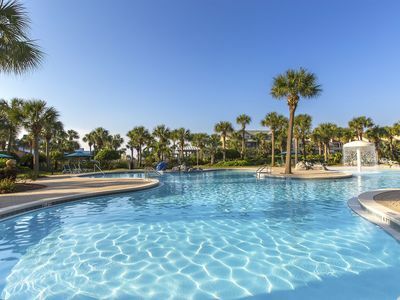 Perfect for families or groups with children, this resort includes an extra large and stunning Gulf-front pool, hot tub, exercise facility and private beachfront balconies. 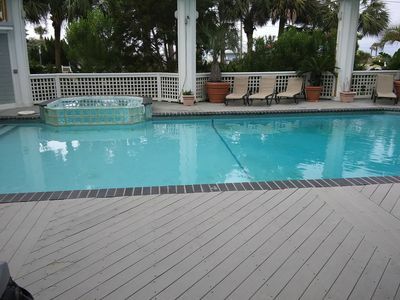 The pool is also heated during cooler months, so everyone can enjoy year-round! 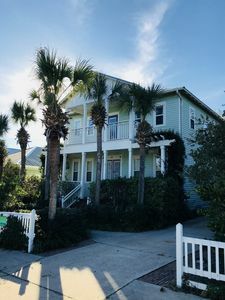 Kids will love the arcade and bumper cars across the street at The Track, and numerous restaurants and nightclubs are just a walk or short drive away. 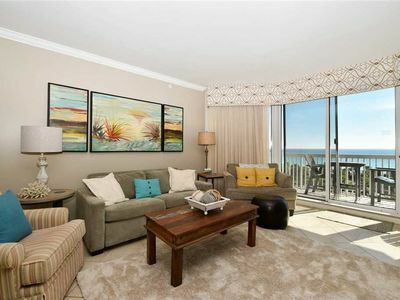 This beautiful, newly furnished 2 bedroom, 2 bath condominium is perfect for all beach lovers. 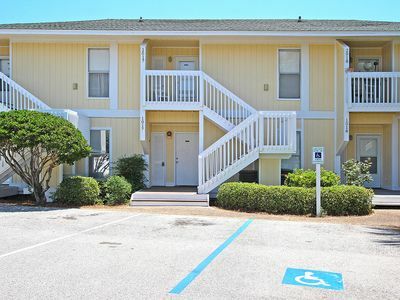 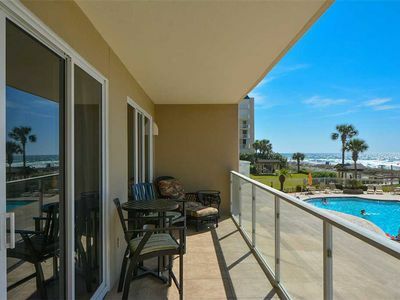 Located on the first floor, above the parking garage, this unit is directly on the beach and has easy access to the elevators, front desk and parking. 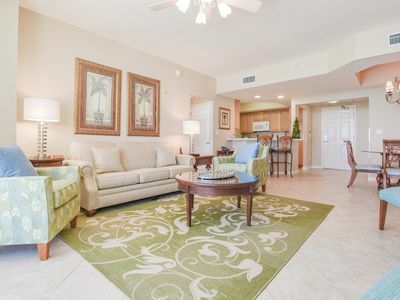 The living area provides ample seating room, a large flat screen TV, and entry door to the fully-furnished balcony that overlooks the extra-large pool and hot tub. 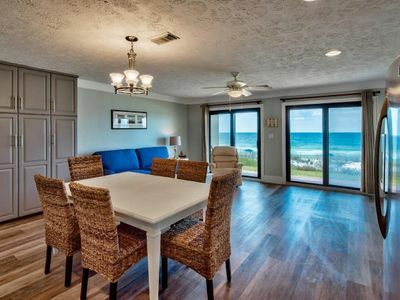 The living room also opens up to a dining room table that seats six, featuring separate barstools and a unique granite wet bar. 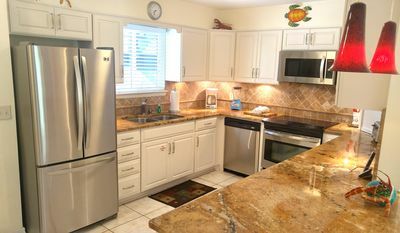 The immaculate, L- shaped kitchen is perfect for the culinary artist in your group with granite counter tops, an undercounter sink, plenty of counter space and a large pantry. 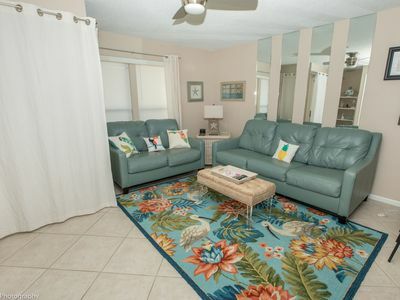 The Master bedroom is Gulf-front with a sliding door to the balcony where you will be able to see the sugar white sands and Emerald waters. 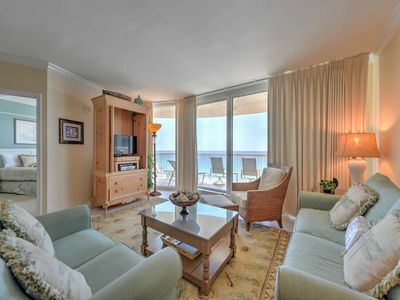 The bedroom includes a king bed, flat screen TV and en suite bathroom with granite counters, a large walk-in shower and whirlpool tub. 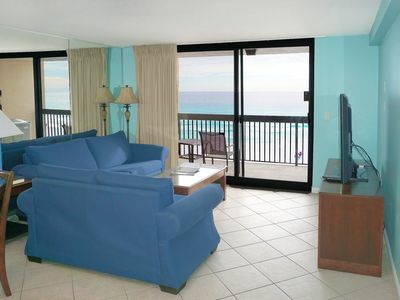 The second bedroom has a king bed and flat screen TV. 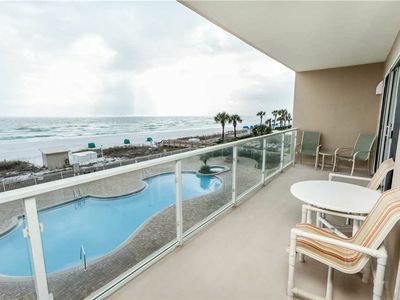 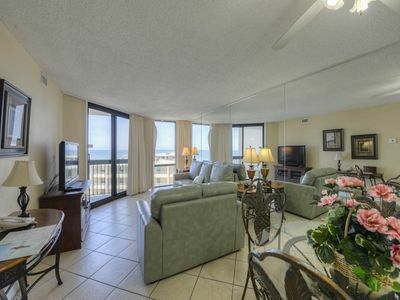 Enjoy the salty air and let this Platinum Unit be your home away from home! 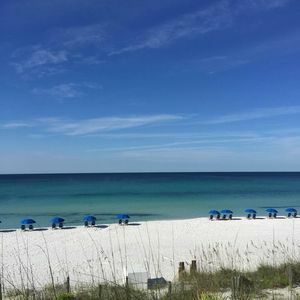 SunDestin 1715 - Book your spring getaway! 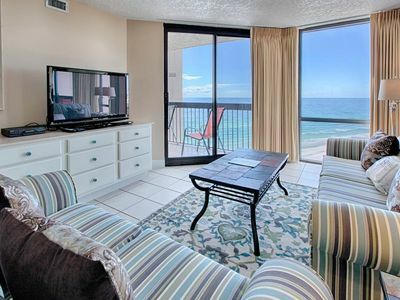 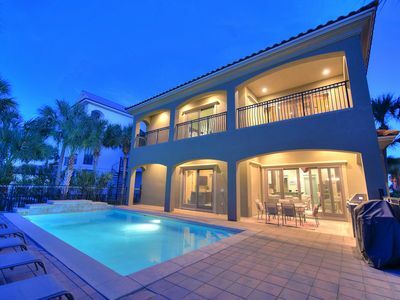 SunDestin 0614 - Book your spring getaway! 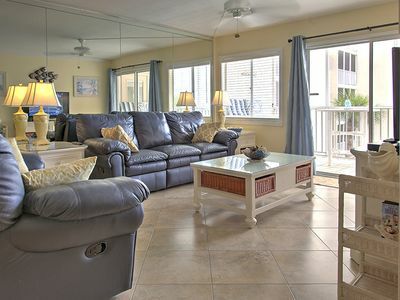 Adorable Seaside Condo Perfect For Families! 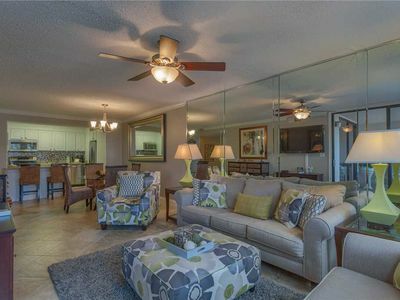 Condo #2017 is a one bedroom Golf Course Villa!